Men and women dress up in elaborate animal costumes to escape reality and live their wildest dreams. Many of us remember a point in our lives, possibly when we were children, when we wanted nothing more than to assume a different identity for one day. Whether it was a superhero a celebrity or a really cool person in your neighbourhood, there was someone whose fun life you envied. This desire to take on a new character and be someone else, just for a little while, follows some people into adulthood. Some, like the "Furries", act out on that desire in a very interesting way. Men and women who take on "animal-like" personas do so, according to South African student Ryno Lombaard, as an "escape from reality". After stumbling across the online Furry community on YouTube, Ryno did research on how he could create his own costume, and the rest is an ongoing adventure that has brought him many new friends. Under the name "Yote Fox" Ryno enjoys exploring a different side of his personality. He and his friend Heinrich van Rooyen found a close-knit community of Furries in a forum called ZA Furries. Heinrich goes by the name "Iron Wild Tempest" and says he has been interested in the practice since 2010. When he is not pursuing the Furry lifestyle, Heinrich is a chef at a four-star restaurant. Heinrich chose the name to reflect the strength he had to find to overcome bullying in his childhood as well as the "pack" of friends he keeps around to support him. “Niexie” enjoys dressing up as a cartoon sheep. She confesses to having been "besotted" with cartoon characters such as Donald Duck and Mickey Mouse and mascots of any kind. At the age of 13, Nicole made her own wolf costume, and she says that is when people encouraged her to look into Furries. Niexie enjoys being a furry because it allows her to “be who she really is”. Ryno's costume-making skills led to his friendship with "Ivic Wulfe", a werewolf "fursona". Ivic focuses mainly on the online community aspect of the Furry lifestyle, and has been pursuing his interest for 15 years. 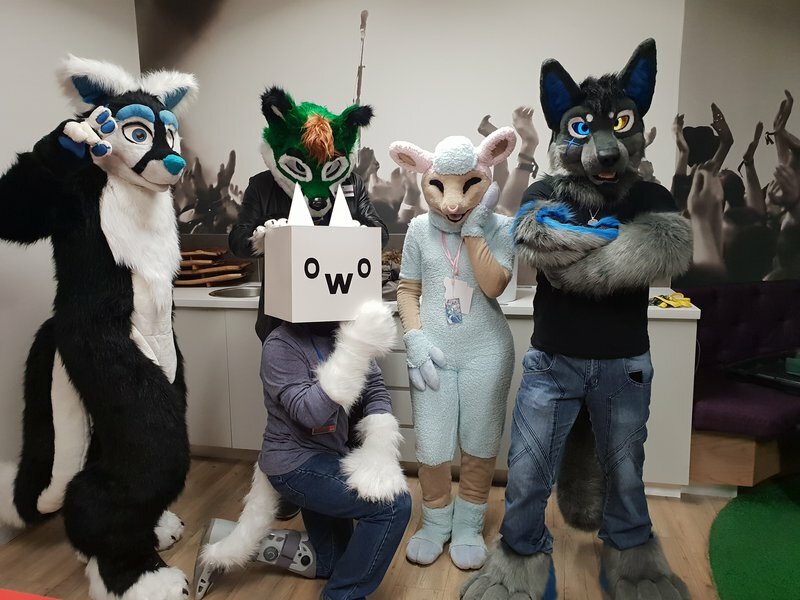 Ivic enjoys the camaraderie among the like-minded Furries, citing their childlike nature and the chance to escape from reality as advantages of being a Furry. The benefits far outweigh the expense of being a Furry, according to Ivic. Ivic says anything goes when it comes to being a Furry - as long as you stay within legal bounds. Ivic is in a relationship with a fellow Furry named "Badger Cat".